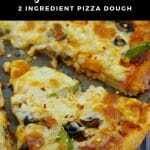 I thought everyone knew about this 2 ingredient Weight Watchers Pizza Dough, but when I mentioned it at work, no one seemed to know what I was talking about. I made it my mission to share it! Loaded with all these toppings, it’s still only 4 Weight Watchers freestyle smart points per slice (including the toppings I use). Recently my husband said that I make a really great homemade pizza. Yet he didn’t even realize that it was this Weight Watchers Pizza dough that he was eating and he was really surprised when I told him. That’s just how good this dough is! Clearly you don’t even have to be on Weight Watchers to love it. Who would ever have imagined that these 2 simple ingredients could transform into something so damn delicious? I only wish I knew about this in my early days on Weight Watchers. 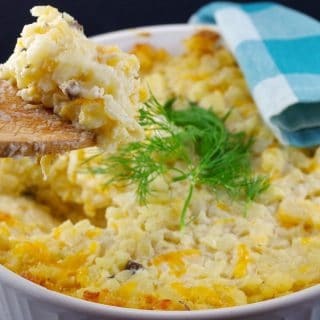 I can’t take credit for this recipe because I didn’t create it. And I don’t know who originally did, but I’m sharing it because it needs to be shared. Really, it’s my duty as a Weight Watchers member and huge fan of this pizza dough. I made a really yummy cauliflower pizza crust that I’ve yet to post, BUT sometimes you just want pizza dough that has the taste and texture of actual pizza dough. 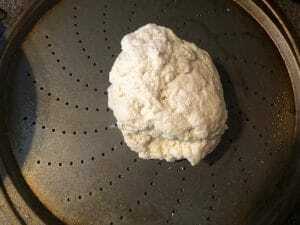 The cauliflower pizza dough was good, but it doesn’t come close to this! If you are worried that this dough might be soggy, put those concerns aside. This dough is perfectly crispy and delicious! If you didn’t know it was light/skinny and Weight Watchers friendly, you’d have no idea you were eating Weight Watchers pizza dough. I don’t think I could ever follow a plan where I had to drastically restrict my carbohydrates. I love my carbs and it’s a fact that you can still lose weight or maintain your weight without being rigid and drastically reducing or eliminating specific foods or food groups. It’s all about balance and yes, you can treat yourself to pizza sometimes. And this pizza makes that even easier because it’s at least 1/2 the points of a regular pizza! We actually eat it quite often in my house and the kids love it too! I also discovered turkey pepperoni at Superstore a few years ago and that was truly life altering. It actually tastes better than regular pepperoni (even according to my kids.) 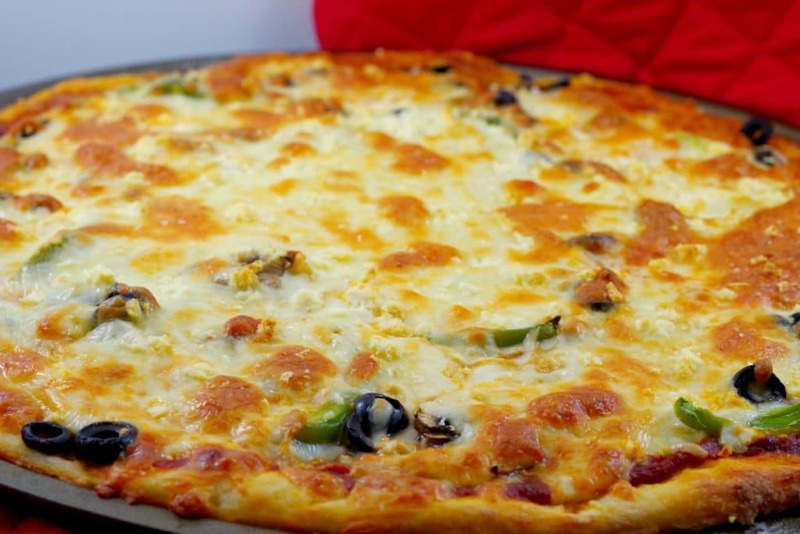 This is a great WW friendly topping to add to this pizza. One of the things I love most about making my own pizza is that I don’t have to make a big, thick crust. And if you’re like me and not a big fan of thick crust, then you’ll love having full control over this crust. 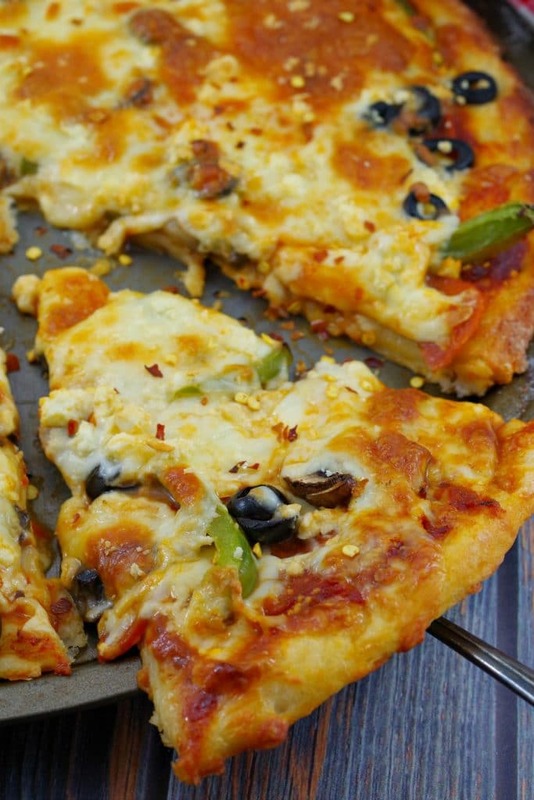 So, if you’re looking to treat yourself to a fabulous pizza that won’t blow your WW points bank, then give this Weight Watchers 2 ingredient pizza dough a try! 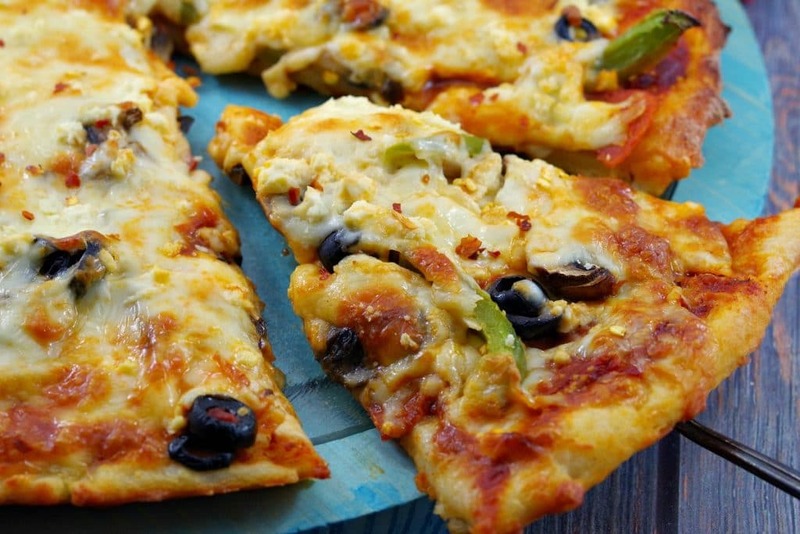 And if you like this pizza, you may also like my Weight Watchers Better for you Breakfast Pizza! It’s only ONE WW fsp per slice! Preheat oven to 400°F. Spray a 14 inch pizza pan with non- stick cooking spray. Place ball directly onto pizza pan. 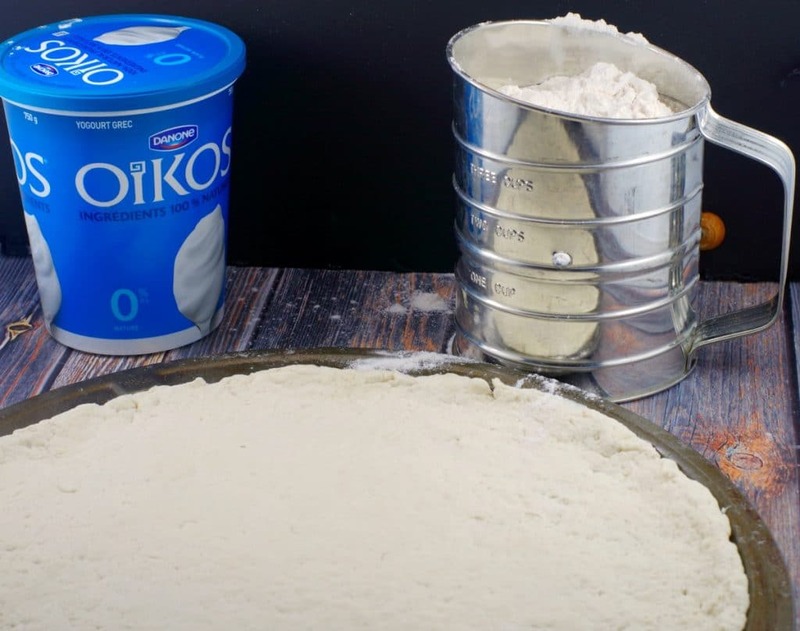 Begin rolling dough, gradually spreading it evenly across the pan. You can use a rolling pin and/or your hands. Roll out to cover pan, making as much or as little crust as you'd like. Bake for 20-25 minutes, or until crust is lightly browned and cooked through. Optional : (if it's not yet browned enough for you) Turn oven to broil (500 degrees F) and cook for 2 minutes or until pizza browns and is bubbly. You need to watch it very closely. Cool for 3 minutes, cut and serve. 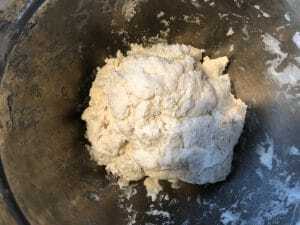 NOTE: Self-rising flour is all-purpose flour with baking powder and salt added. To make your own, all you have to do is combine 1 cup of all-purpose flour with 1 1/2 teaspoons of baking powder and 1/2 teaspoon of salt.